This Lemon Jello Cake is perfect for anytime of the year. The fresh tastes of summer or to brighten the winter holiday meals. Why Does Cake Fall in the Middle? There are several potential causes for fallen cakes, and happily, there are also several solutions. Whether it’s too much or too little, incorrect moisture can cause problems in your cake baking. If there is too little moisture in a cake, it can fall in the center. However, too much moisture can also affect a cake. 2. If you forgot to add the eggs at the right time and then added them later figuring “eh, it will be fine,” you might pay the price for your laissez-faire attitude with a fallen cake. Be sure to read the recipe first. 3. Your oven could be to blame. Even if the temperature is set correctly on the dial, that doesn’t necessarily mean that’s the temperature inside of your oven. temperature inside of the oven. 4. The cake may have puffed up and looked golden on top, but when you take it out of the oven it sinks and turns gummy in the middle. You probably didn’t bake long enough. Don’t depend on a visual cue to detect doneness: also insert a skewer or cake tester to make sure it comes out mostly clean. Hey guys! 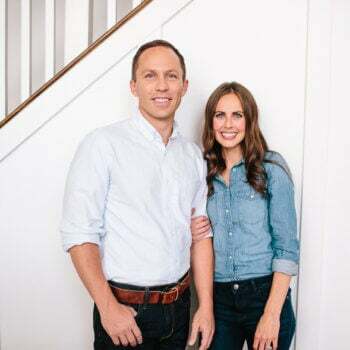 It’s Sarah, yes that one that was able to share our road to adoption with your help and the most incredible day when we finally held our baby girl and the miracle of adoption. But today is about lemon jello cake. 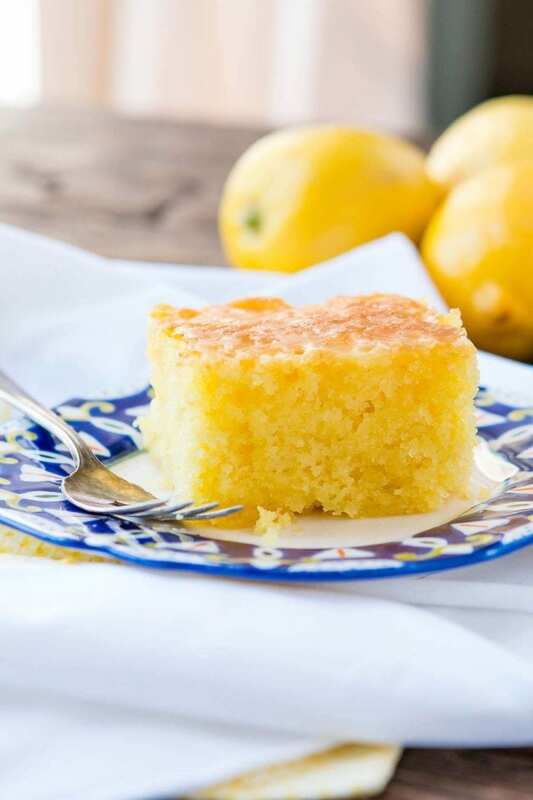 I got so excited about this recipe that I have to warn you that this post not only includes a delicious recipe for Lemon Jello Cake (not to be confused with Strawberry Jello Cake) but it also includes a lot of tangents that you’ll read in the gazillion parenthesis! Writing this down instead of telling it to you personally allows my brain too much time to wander as I write simple sentences. You will learn the inner-workings of my head! This Lemon Jell-O Cake is one of our favorites. It is the moistest (my sister-in-laws favorite word…and anything that has the “oi” sound) cake with help from the Lemon Jell-O flavor packet and the icing on top that seeps down through the sponginess (is that a word? I like to make up words) of the cake. And moist cakes are THE only way to go. This Lemon Jello Cake will forever and ever remind me of visiting my grandparents house on Sunday evenings where we would play, talk and eat. I still see their 50-year-old antique silverware and old plates lining the table before everyone digs in. Food does that, doesn’t it? What recipe do you make that transports you back in time? Does Jello Cake Need to be Refrigerated? Jello poke cakes need to be refrigerated because you’re pouring the stuff over the cake and adding whipped cream, but this lemon jello cake is another story. Because the jello is baked into the cake and just a glaze is placed over the top you really don’t need to refrigerate it. Yay!!! Although, it’s actually really yummy both warm and cold so do as you please. Can You Freeze Jello Cake? Because this isn’t a poke cake you can freeze jello cake! Yay!!! Lemon jello cake needs to be wrapped tightly in plastic wrap after it has cooled completely. It’s going to stay good for up to 3 weeks! Spray a cake pan with nonstick spray and sprinkle with flour. In the bowl of a mixer, mix the cake mix, eggs, water, oil and jello together. Immediately pour lemon icing over top. In a small bowl, mix the lemon juice and powdered sugar until smooth. 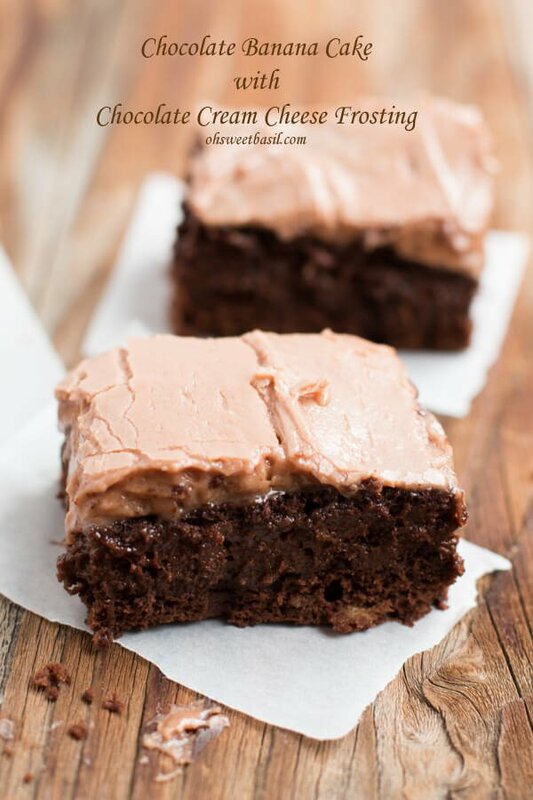 Mom’s classic Texas sheet cake recipe! Moist banana cake with a chocolate twist! Perfection!! Would suggest that you have a MEANWHILE note mentioned in instructions….after cake is in the oven to prepare the ‘icing’…yeah, SEEMS obvious…..could be added at the Icing Directions first? Letting the cake cool while you build icing is a typical response…oh, and lemon zest in the icing is scrump! Thank you Lisa! So glad you enjoyed it! Made this in cupcake form for St. Patrick’s day this weekend. Pineapple orange jello, rainbow sprinkles, and neon green food coloring, lemon cream cheese frosting! 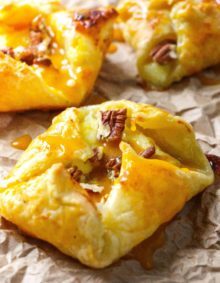 A few changes to your recipe but turned out amazing! Lots of compliments! Thanks! Sounds delicious!! Thanks for the feedback! This was so delicious! I wanted something easy for my husband’s birthday, loved the glaze and the flavor from the jello. 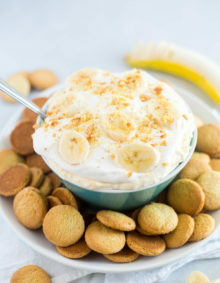 I served this with whipped cream, can’t wait to make again! Yeah!! Thanks for the feedback and so glad you enjoyed it! Oh my gosh! I’m 58 years old, and my grandmother made the same cake. I have been trying to figure out what it was, and I saw your post. What a godsend! However , she used both oranges and lemons and equal amounts for the glaze, and put some of the orange and lemon zest in both the cake and the icing. You might want to give that a try! Thanks again for giving me the particulars which I have long forgotten . Ooooohhhhh…that sounds so yummy! I will have to try that! Thanks, John! Do the 15.25 oz. cake mixes work? I find I need to open two cake mixes and measure out more cake mix to use with my older cake recipes. The cake mixes used to be over 18 oz a few years back and before that around 20 oz. What are you doing with your old family recipes? Hi Kathleen! We have been using the new size of cake mix and they have been working just fine. I still wish they would stop changing the size of things and then still charging the same for them if not more! Enjoy this cake! It is so yummy! 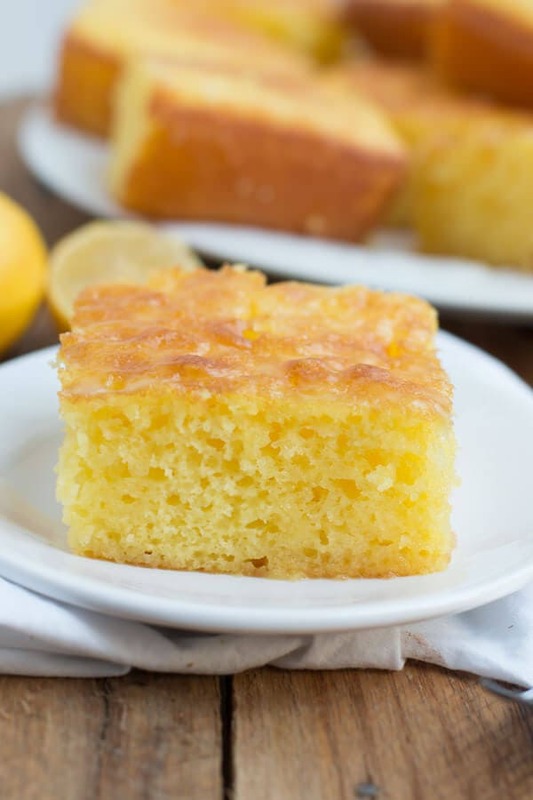 This lemon cake sounds wonderful! 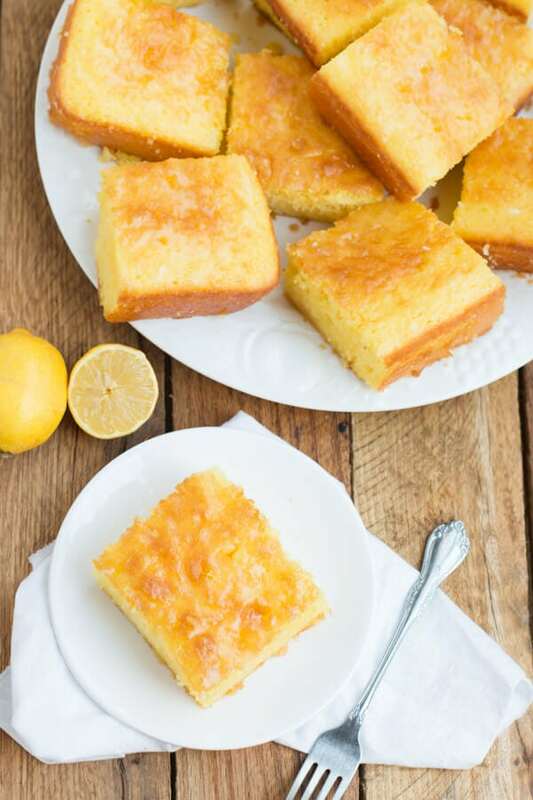 What lemon cake brand do you prefer? We are pretty loyal to good ol’ Betty Crocker! Do you think this cake would work topped with blueberry pie filling. before serving? I don’t see vanilla extract in the recipe .. is that right? I want to make this cake for a going away party & needing to make sure I have everything. 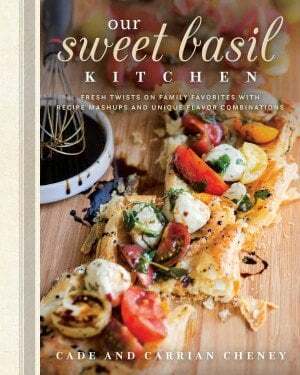 I use to have this recipe & I thought it also had vanilla extract. I lost the recipe & so happy to find it today !! Yes, that’s correct. We found that it doesn’t need it, but it wouldn’t hurt it to add it in if you want that flavor! Enjoy! I made this Lemon Jello Cake gluten free using King Arthur’s GF yellow cake mix. I followed the rest of recipe ingredients for the cake exactly and it turned out great! I did however have to bake it an extra 10 minutes before a toothpick came out clean but that’s not surprising with GF baking. For the icing I used bottled lemon juice (4 tablespoons) instead of fresh and still delicious! I also wanted to comment that I think it tastes even better the next day. Even more moist and lemony. Next time I make for a party I’ll do it a day ahead. Thank you for sharing! Do you think I could use a sheet pan for this? Maybe just not cook it as long and keep a close eye on it? 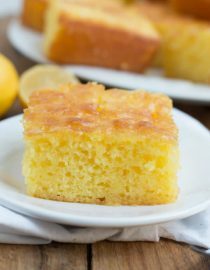 Looking for a thin lemon cake! The recipe calls for “juice of 2 lemons”. I find lemons can produce very different amounts of juice. Roughly, what would the measurement be? One lemon generally makes 2 Tablespoons of juice, so 4 Tbsp for this recipe. Can U adjust ingredients to makec it Gluten free? Absolutely! 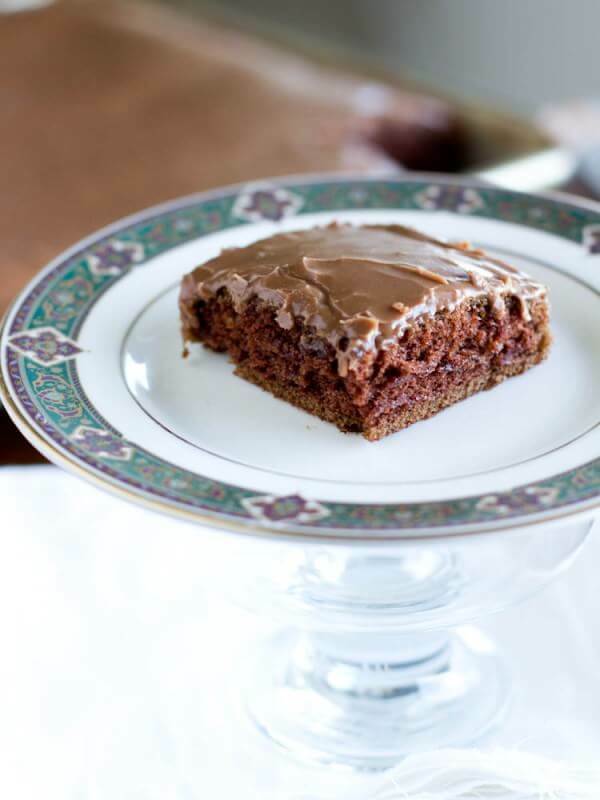 Just buy a gluten free cake mix and you should be set! I guess I’m the Grandma others talk about from past memories. I have been making this for years. It’s a family favorite. So refreshing. I love reading the comments AND your answers. I have learned some options, like cupcakes! Great idea. I’m keeping this so I can refer back for ideas. Looking forward to seeing your other recipes. Btw, do you have any recipe for sugar free fudge? Thank you again for reminding me to go make this. Now, I can’t wait. It is so good! The cupcakes are so fun for parties! I wish we had a sugar free fudge recipe! Oh I don’t, but that’s a great idea for Christmas! This cake looks amazing. I am on my way to the store to get the ingredients! Thank you!! You are going to love it! We have never tried it, so I’m not certain. I want to say it would be fine…I don’t see why it wouldn’t be! If you try it, let us know how it goes! This sounds like a cake my grandfather used to make. Unfortunately someone borrowed my recipe card and didn’t return it so I haven’t made it for years. Grampa always made it in a Bundt pan. Can your recipe be baked in a Bundt pan? Oh I hate when that happens! You definitely can make it in a bundt pan! This cake is amazing,looks beautiful,tastes delious, and so moist. My teenage grandson devoured three pieces. Thanks will be making this again. I love all things lemon and this is the best. That;s just what we want to hear, thank you! Havenever heard of a german lemon cake. Can you tell me who/how to make it? We would love to know too!! Messed up and used lemon pudding mix instead of jello! I guess that’s what happens when you bake after midnight! :] It took a little longer to bake… maybe 7-10 minutes. I just took it out of the oven and it was worth the wait.. looks and smells amazing! Just made your pineapple crush cake on Wednesday (Literally heaven in your mouth!) and the hubby ate almost the entire pan by himself. It was amazing! Thank you so much, you are truly an inspiration! I want to make this cake, I bought instant lemon pudding, thinking that’s what the recipe called for. Would the pudding work in place of the jello? Hi Judy, it won’t be the same as jell-o cake but it will still be really good and extra moist! I would for sure still make it! Made this cake for a dinner I have tomorrow had a lil slice and it was really good..keeping this recipe around for future bakes..can’t wait to try some of your other recipes. Ohhh glad you enjoyed it and hope everyone else did too! Everybody who likes this cake always references their Grandma. Me too! That’s where my sis & I remember first enjoying it some 50 yrs ago. It’s been some years since we’ve had it, but I’m so sure we’ll love it that I’m baking two tonight. Why mess around?! Thanks for sharing! Hi Bill, it’s just powdered, and not a dumb question at all! The lemon cake was awesome my husband ate the hole cake in three days it’s his favorite! Can I make this as a bundt cake? I’ve heard that you can, but I haven’t tried it myself. I wanted to do this in several flavors and Lemon was my 1st thought.. i love lemon.. Since I am preparing several different flavors, how would I do the different flavor icings? I’d like to do Lemon,Strawberry, Orange and maybe Coconut????? Pineapple?? Thanks!! I too have been making this wonderful cake for years (since 1973). My grandmother made the orange jello version, which is my husband’s FAVORITE dessert of all, and it’s been in the family ever since. I love the orange cake but I love anything lemon too. I always use to make the 9 x 13 size, but now I usually make it in 2 loaf pans 5 1/4″ x 9 1/4″ and share it with friends & family. I’m always asked for the recipe!! In answer to one of the questions, yes, you can make cupcakes with this recipe. Besides orange and lemon, there is a strawberry version which is my S-I-L’s favorite. You can find it online, just google Strawberry Jello cake. Oh I didn’t know it would work as cupcakes. Thank you for sharing! I too have made this cake for over 40 years and it is always a winner. Just be prepared for everyone wanting the recipe. Could this be done with orange? I was introduced to this recipe 20 years ago by my in laws. It is a classic! Super easy and reminds me of big, crazy family dinners every time. A true keeper!! I bet those dinners were such fun. Thanks for sharing! Does this cake need to be refrigerated after making? Hi Jan, it’s ok on the counter or in the fridge. Many have told us they really like it cold so that might be something to try. This looks delicious. Do you think it would work as cupcakes? Love this cake, haven’t made it in years, now for my question: is this the new smaller size cake mix or will it make any differance? I have been making this cake for over 40 years it is still one of my favorites. One of my nieces asks for this every holiday and I finally just gave her the recipe so that she can make it at any time. My only recommendation is to use a hand mixer for both the cake and the topping as it makes for a much better consistency. I also have a rather large meat fork (I think it might be half of a turkey lifting set) with about 6 to 7 long tines that I use for making the holes. I also refrigerate the cake and right before serving dust with more powdered sugar. Oh I love the dusting with powdered sugar idea! Cannot wait to try that! I made this and it is delicious! The only thing I did different was to use melted butter in the cake mix when I realized I didn’t have any oil. Very moist and tangy and sweet. Very good! Oh, I never thought to try melted butter! I cannot wait to try that now! 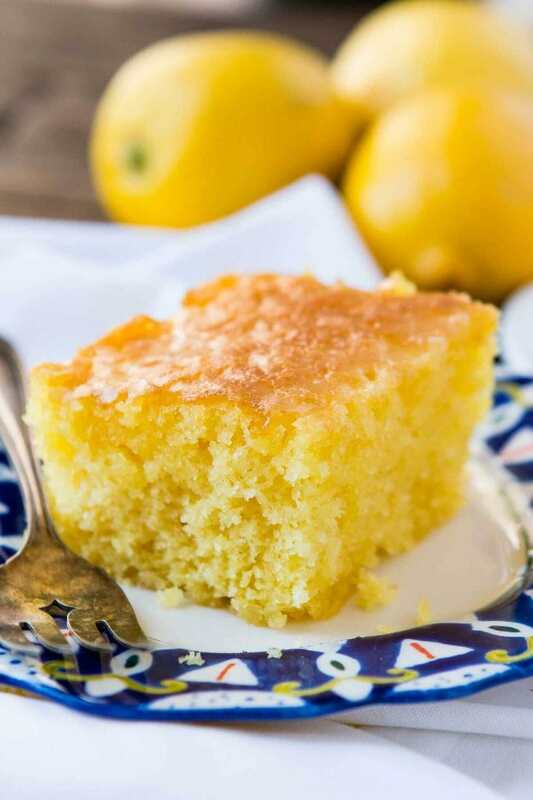 Have you ever tried adding some lemon zest to either the cake or the icing? Hi Brent, We have actually and we love the addition! How much do you add- sounds so yummy! For the cake up to one whole lemon is the most we do and the glaze never more than half a lemon as it becomes quite zippy and sometimes the kids aren’t fans of that. Found you on Pinterest and saved you. Made this cake over the weekend and expected it to last at least 2-3 days. Nope! Gone in under 24 hrs. I only got two pieces, bf devoured the rest. Making it again tonight and pondering places to hide the finished cake. Such a great recipe and so easy. Thanks for sharing. hahaha!! I love when that happens! We have a few other variations and are always trying more. We just love that cake! I made this today and it was very yummy! With each serving I let people put whip cream on top and add strawberries and/or blueberries at will. It was a hit with everyone! I love adding the fresh berries on top. Thanks for commenting Jasmine! My husbnd and his grandmother adored each other. She always made him his favorite lemon cake. I tried to get the recipe from her, promising never to make it until after she died. But she never gave it to me. I knew it had a cake mix and jello in it, but I could never duplicate it. Never moist enough. This had comments from generations that remember from her age grouping so I thought maybe this is it!!! HOPE!!! It is it!! Thank you so much. 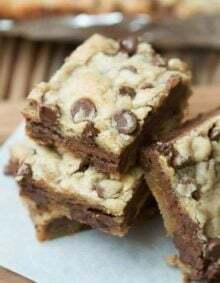 My husband was almost in tears after the first bite – ‘ it’ Gram’s recipe.” You will never know how long I’ve hunted or how happy you made my husband. THANK YOU ! HUGS! And this is exactly why we have the blog. LOVE this story. Thank you so much for taking the time to come back and comment. Would adding Pastry Pride whipped topping be ok, or would it be too much? I think a little whipped topping on top would never be a bad thing! This looks wonderful! Do you think substituting lemon pudding for jell-o would work ok? Unfortunately it would be more of a poke cake, which is different. My family has been making this cake since the early 1960’s. It was called a Yum Yum cake. this looks so yummy and refreshing! I bet in the summer it’d be good with fresh sliced strawberries on top!! Can’t wait to try it this summer when the strawberries come back in! Oh it’s just wonderful with strawberries! I have been unable to bake this for many years because of my health but a birthday request has been made. I will try and look forward to its deliciousness. Glad I saw this page. Oh, I’m so sorry to hear about your health. Hope you enjoy! I was thinking about putting a different lemon topping on it. Any ideas? We love lemon, but not if it is too sugary. Maybe just a lemon whipped cream? Hi Bridget, I haven’t tried that, but it would be beautiful! I’d probably go with around the same bake time and temperature as what the back of the box recommends for a bundt. I would just love to hear your results if you try it. made this for family dinner, everyone loved it. Two of the men had 3 pieces each,lol. I got a tiny piece. My niece wanted recipe,she made it quite a few times already! Thank you for such a easy ,delicious desert. I have a bottle of real lemon in my refrig, can it be substituted for the juice of the lemons in the icing?? I just made this last night for the first time. The whole family is raving over it. It didn’t stick to the pan, it held it’s shape and looks exactly like your photos!!! That NEVER happens! I’m so impressed with the recipe! Lemon jello gelatin or lemon jello pudding? Just jello, not the pudding. Hi, you have mentioned using a regular packet of lemon jello, should I used 3oz or 6oz? Please advice me, thanks! Question: Is it Jello gelatin or Jello pudding? Thank you for this recipe. My late sister used to make this cake and it was always a hit. I have been looking for her recipe and I finally found it on your website. She’s probably smiling at us from heaven. Now I can make it for our family. Yum. What a sweet memory. Thank you for sharing! So glad you can enjoy it again! And I love a stuffed recipe box, it only means you have lots of memories and good food together! My husband has fond memories of his late mother making this cake. He asked me to make it for his birthday his weekend. Her recipe card was awfully vague; I’m really glad I found it here! Oh isn’t that the worse when passed down recipes don’t give all of the information? I’m so glad you can make it and think of her! Back on topic though, I bought all the ingredients and I’m making this cake next week when my nephew visits! Oh I wish you still had it! Sounds amazing! My grandma always used to make this cake and it is soooo good. Super moist and nicely tart and not super sweet or rich. A wonderful summer cake but it would be a nice spot of sunshine on those gray winter days. My aunt always makes jello cake for the holidays and I can’t get enough. 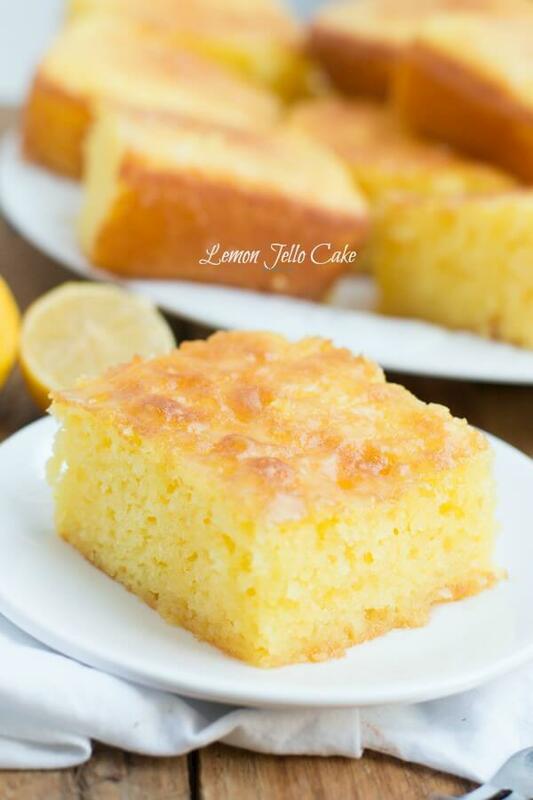 This lemon version looks insanely moist and fluffy, just the type of cake that I adore. That’s too funny, I learned the difference between desert and dessert the same way you did.